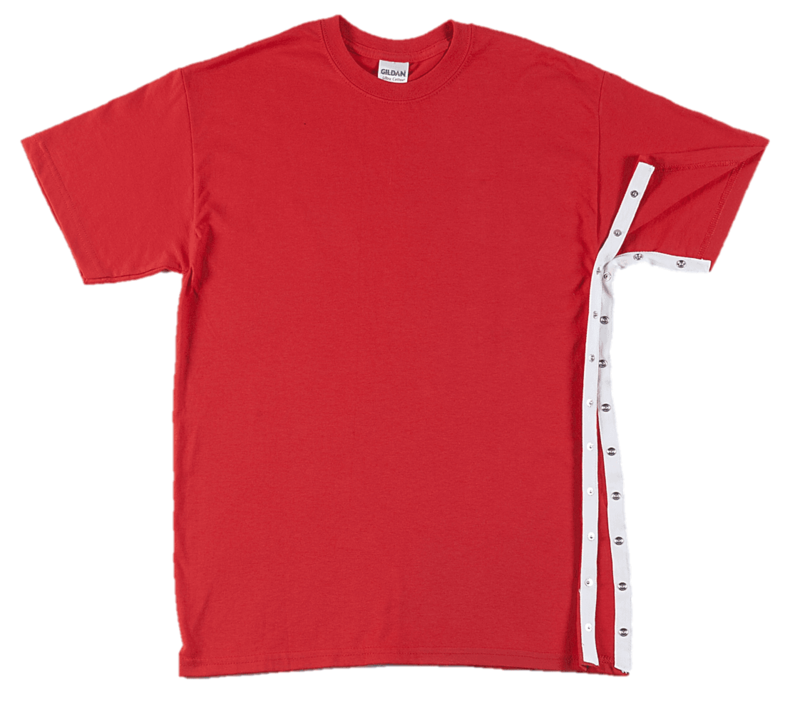 Sizes, Styles & Pricing For Rehab Shirts - Medical Rehab Wear Inc. When it comes to making sure that our rehab shirts feel good, work correctly, and are easy to use, we have the right mindset at Medical Rehab Wear Inc. Our line of affordable rehab T-shirts and post-surgery garments have a variety of products in many styles, sizes, colors, and rehab needs. 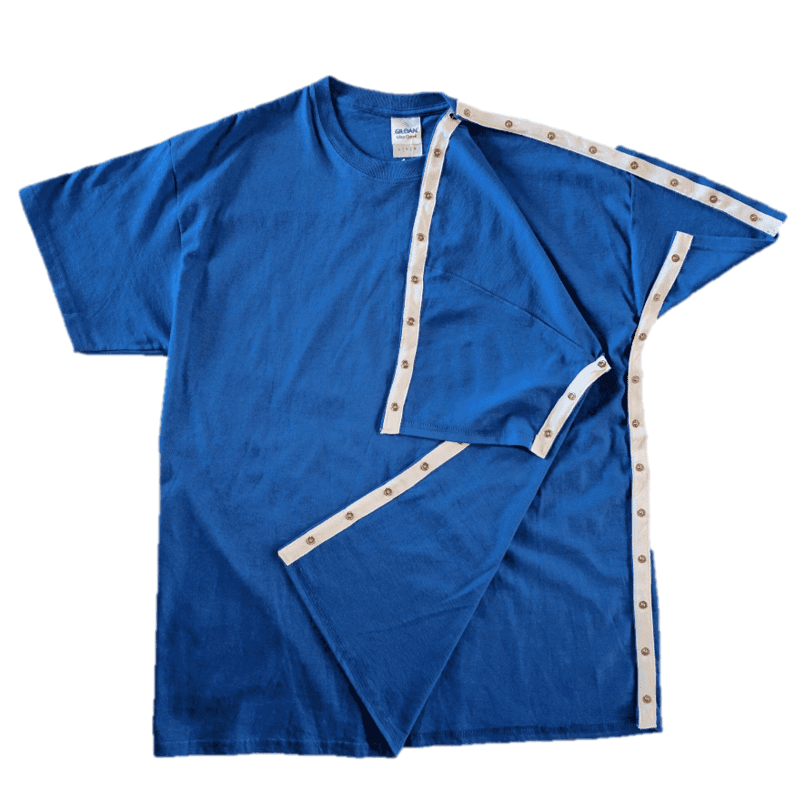 Our goal is to make recovery and post-surgical garments that not only are easy to use for the patient, but the caregivers as well. That’s why we offer the variety of different rehab needs and uses in our clothing so everyone has a chance at a happy and comfortable recovery. 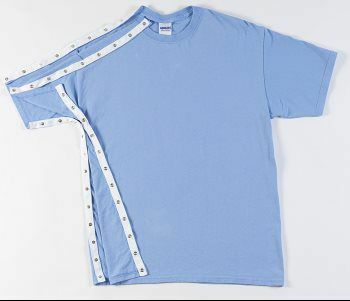 If there’s a need in recovery and rehab shirts, it’s allowing the patient to feel like they’re in control of their progress. 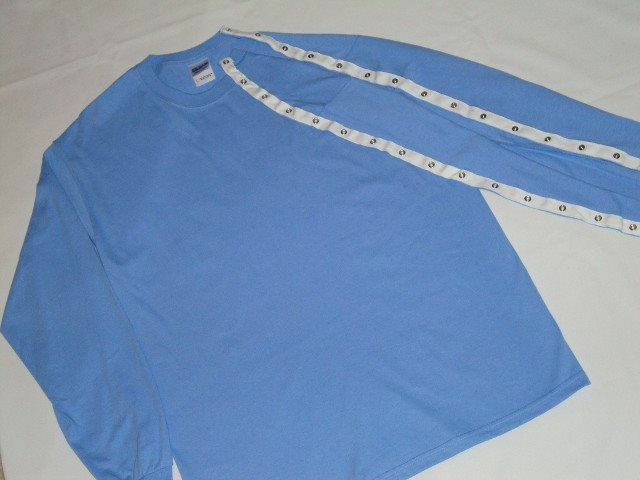 Traditional rehab shirts may be normal, plain clothing that looks uniform to a hospital gown. They also can be difficult to maneuver for the patient and caregiver, having difficult ties and hard to reach snaps to secure the garment. 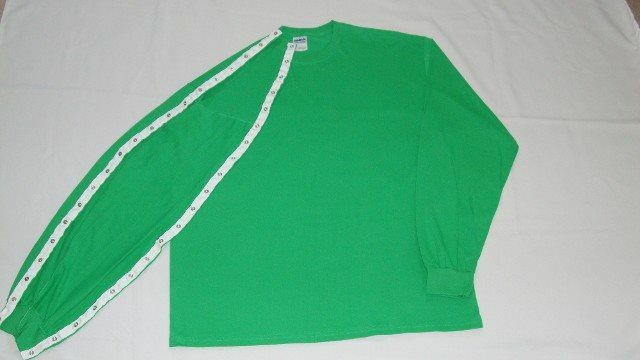 At Medical Rehab Wear Inc., that’s not the case at all since we strive to provide a wide-range of sizes, colors, styles, and needs in our post-surgery garments. 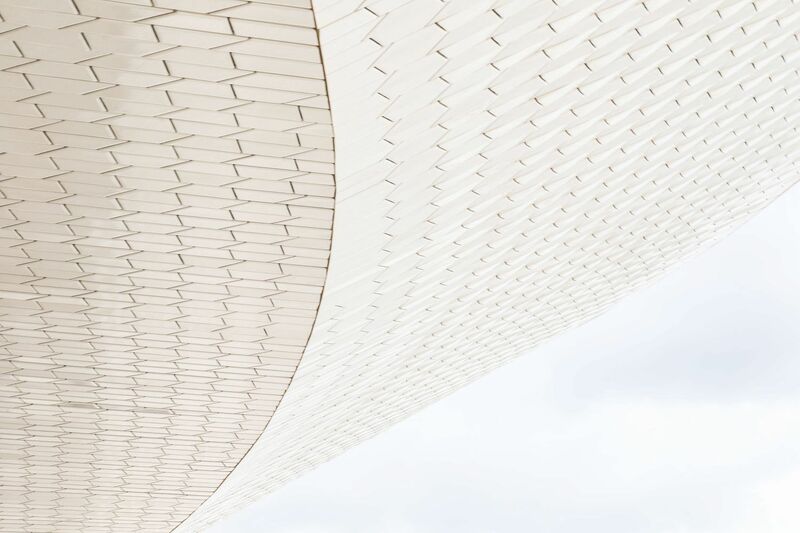 If there’s one thing you can be sure of with our rehab and post-surgical garments, it’s that we want the recovery process to be as free, easy, and painless as possible for all involved. For more information regarding our sizing, styles, pricing, and rehabilitation wear accommodations; feel free to contact us today at (731) 664-8013. 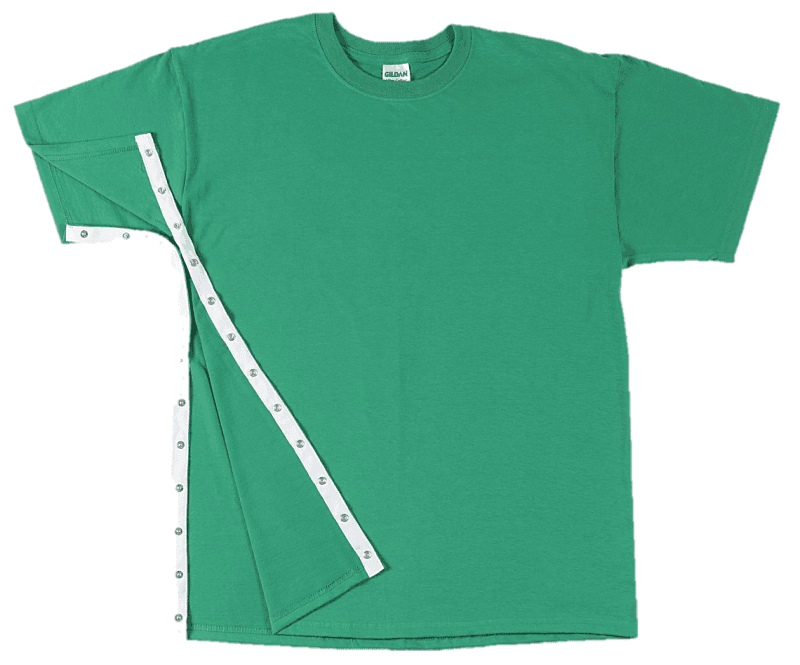 All of our shirts are brand-new, Gildan™ brand heavy-weight 6.1-ounce 100% cotton preshrunk short- or long-sleeve T-shirts. 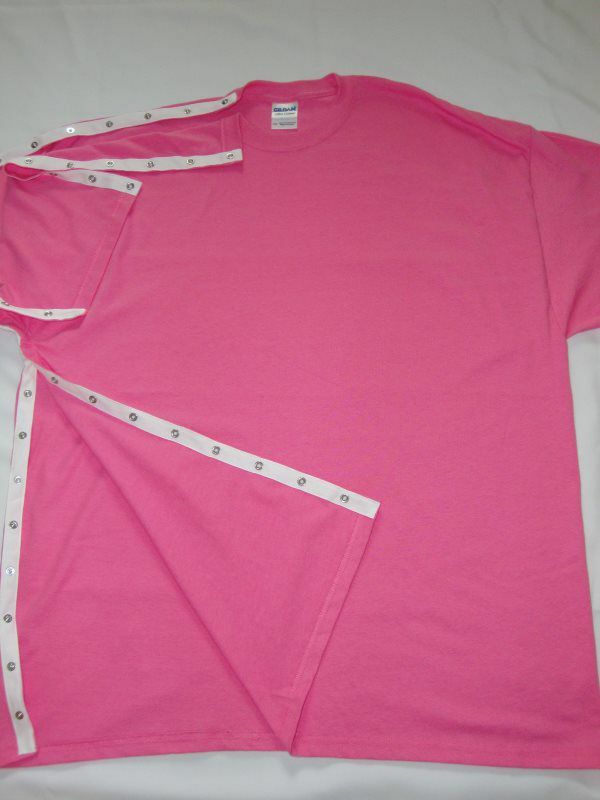 Sizes are unisex that offer a few extra inches in abdominal area and we offer several variations of our shirts. 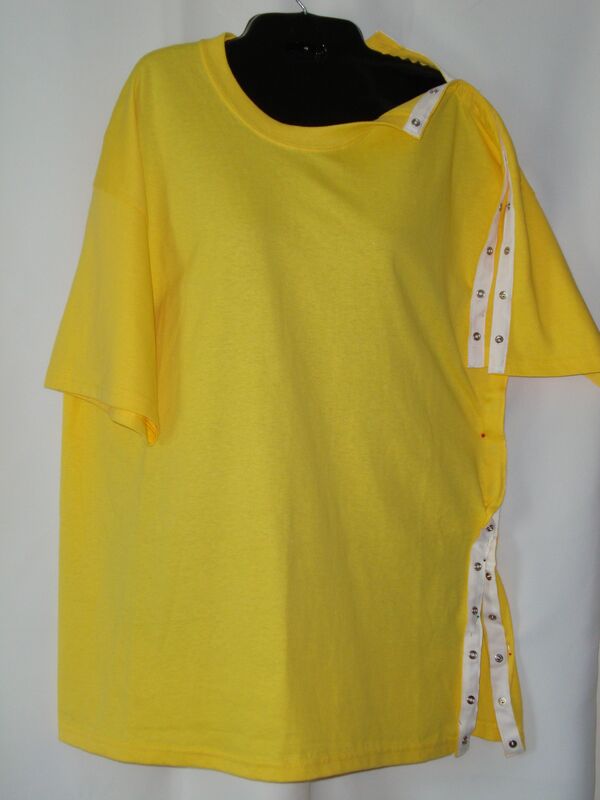 Style #1 $39.95 shown in Blue and Yellow is our #1 seller for Orthopedic post surgery wear: Rotator cuff surgery wear, shoulder, elbow, broken arms surgeries and replacements. Head and neck injuries, ribs, clavicle, cranial injuries, and any upper torso surgery requiring rehab. 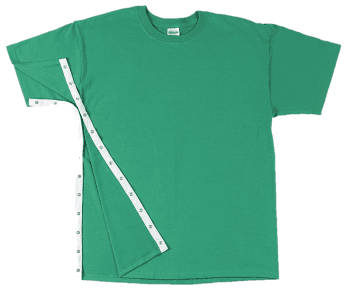 We suggest ordering a size larger than normal in all our t-shirts and use the size and color charts when ordering or contact us. 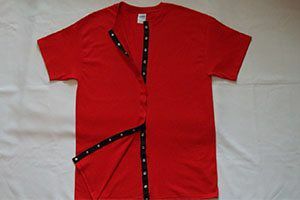 This Style can be easily stepped into and pulled up by caregiver to insert good arm and gently pull the front and back with snaps underarm and snap at the shoulder. It is important to order a size larger. 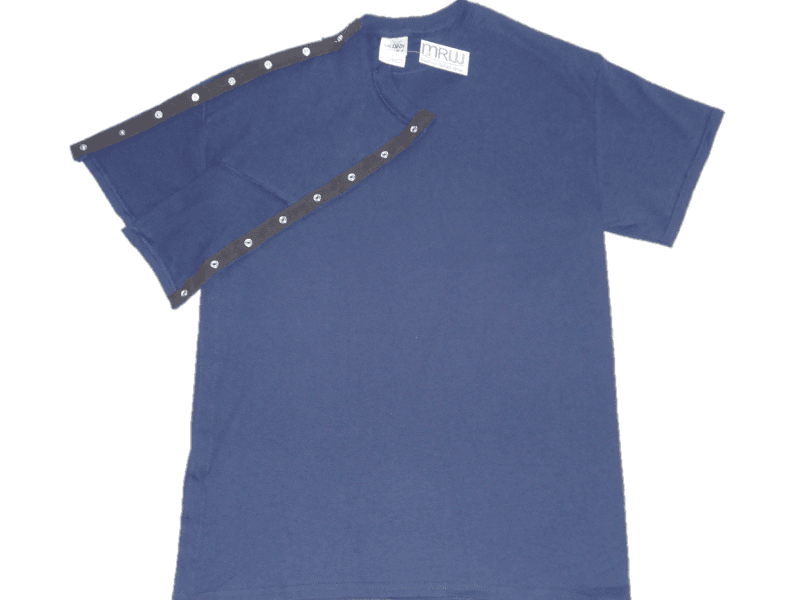 Style #1A $42.95 Kidney Dialysis/ chemotherapy/ infusion/ Ports/ Pickline/ IVs'/ Catheters are all uses for our long or short sleeve t-shirts that are the only medical wear on the market with easy hidden snaps for the patient and caregivers. Let us help! 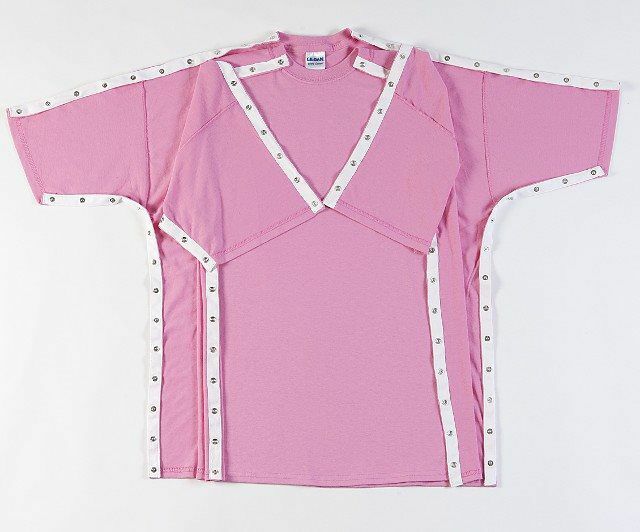 No Zippers to break or not having enough access to easily prepare for treatment! No velcro to attrack fuss, hair, and loss grip after a couple of washings. 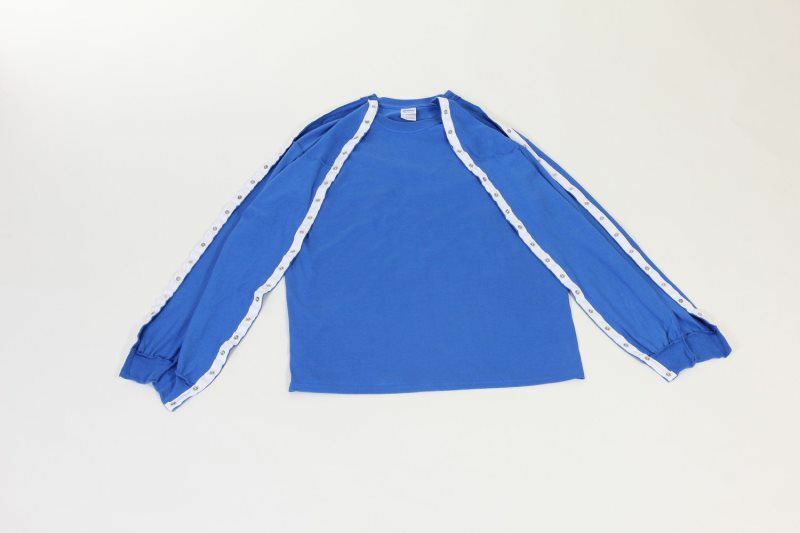 Patients purchasing this Style- Short or long sleeves is available for comfort, warmth and hidden snaps. Wear our "Snappy Tee's" anywhere. 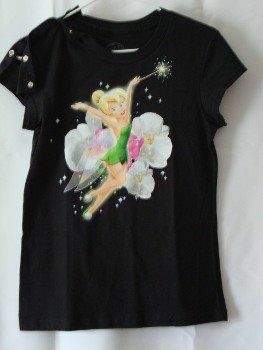 We do childrens' t-shirts in additional colors and offer customizing their personal t-shirts for comfort. T-Shirts for Seniors are always good for easy on/off dressing. 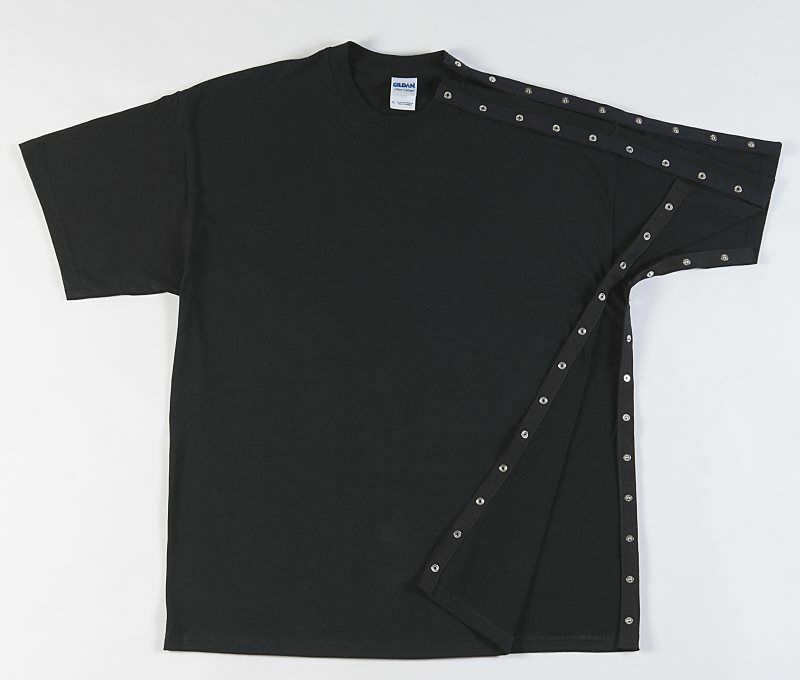 The "Snappy Tees" are great for broken arms. Unisex sizing - Check the size chart or contact us if questions. Dialysis Style #1A in fleece is $49.95. 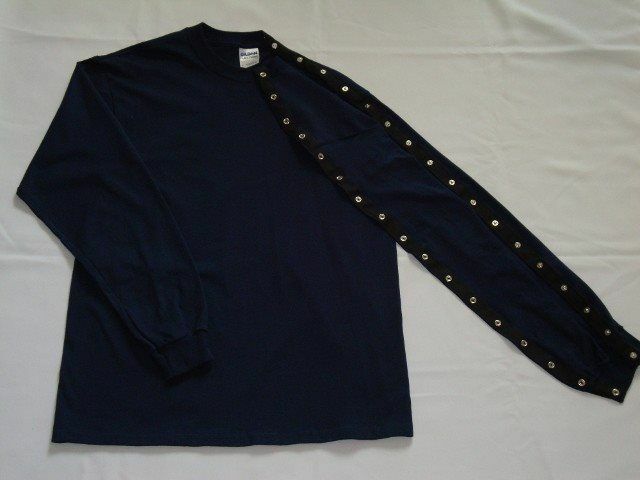 Style #1B $59.95 Long sleeve t-shirts with snaps on both left and right arms for warmth and treatment. Dialysis and Chemotherapy patients may elect to have snaps on both arms. 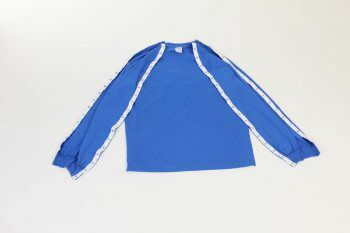 STYLE #1C $35.95 These children's t-shirts are just previous samples of our medical wear. 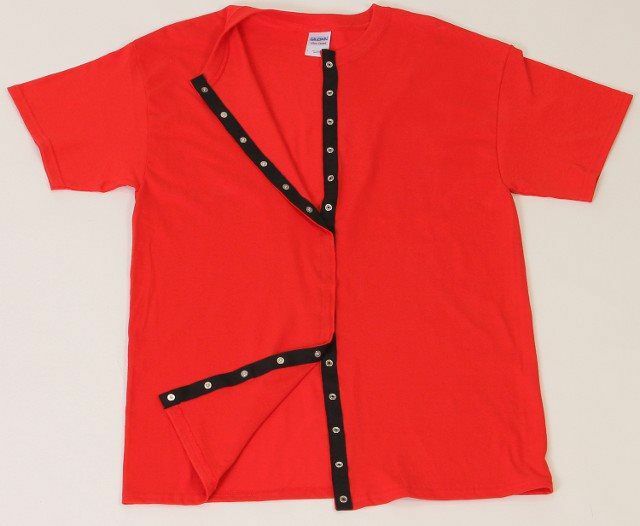 These type t-shirts put a smile on a child's face when dressing for leukemia type treatment. 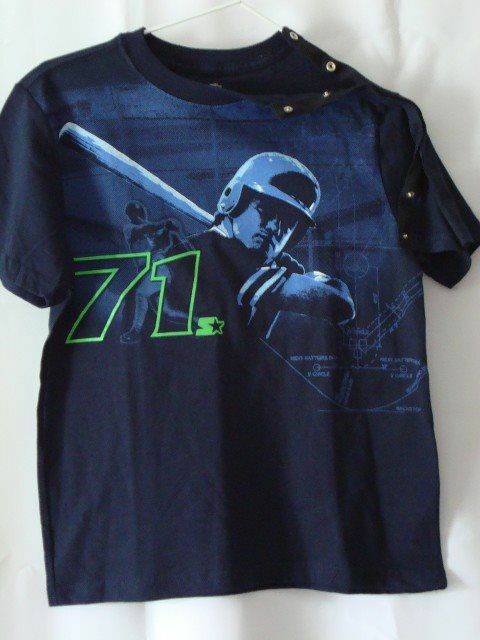 We customize our children's t-shirts and even offer to customize apparel the family can supply. There is always an adjustment in price. 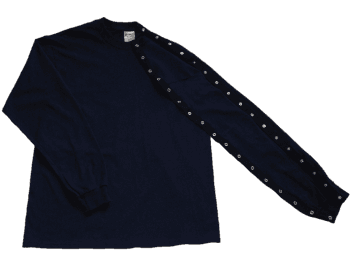 Style #1D $42.95 Long sleeve t-shirts with hidden snaps in center front for warmth. Cardiac patients and other surgeries needing easy access to site. 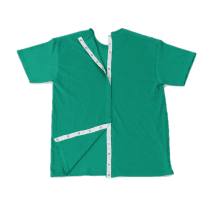 Style #1D, #1E $39.95 Green t-shirt short sleeve has snaps down center back, Red t-shirt has snaps down the center front, and #G is Long Sleeve Center front with easy snaps. 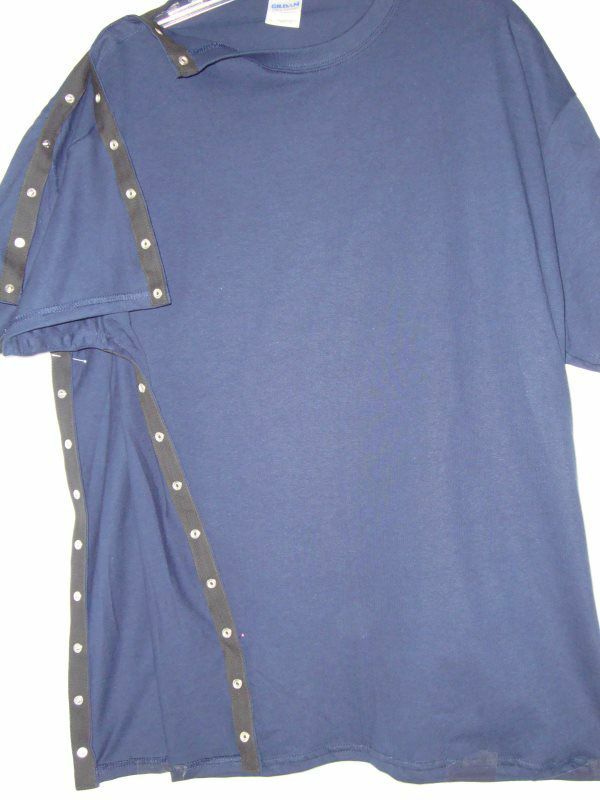 Style #1E $39.95 Short sleeve t-shirts with hidden snaps in center back. 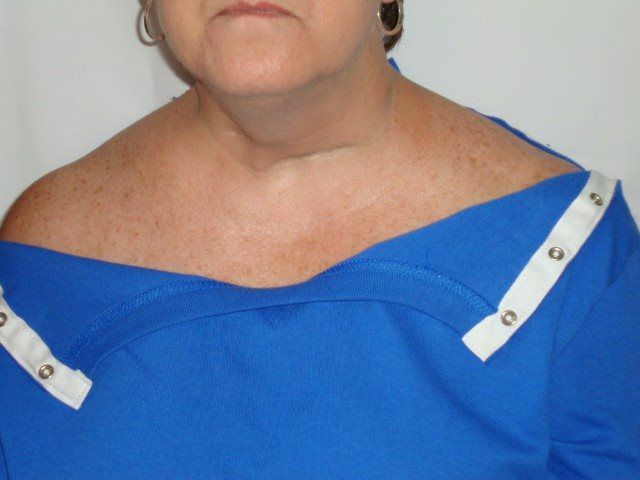 Spinal Cord Surgery, bedridden patients, back surgery. 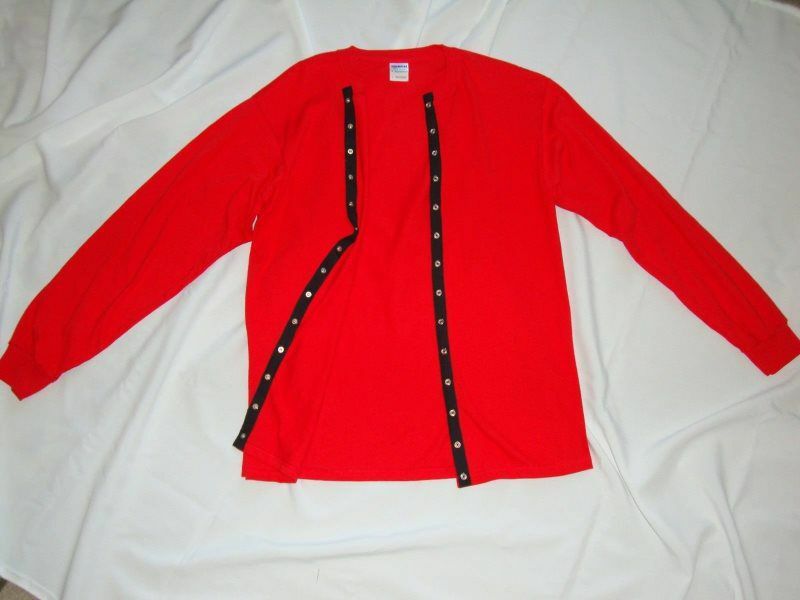 Style #2 $39.95 shown in Red/Green is also chosen for its easy over the head and snap for many uses mentioned above. Arthritic conditions, stroke, Orthopedic uses, breast surgeries, abdominal surgeries, easy over the head then snap and ready. 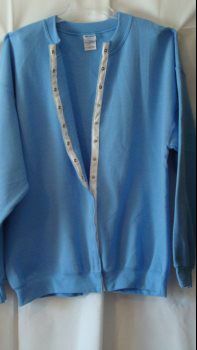 Style #3 $49.95 Combination of #1 and #2 easily opens like a robe when unsnapped. Seniors may find this style very useful too. Patient with abdominal surgeries, strokes, Orthopedic uses i.e. broken arms are helped with these Styles too. Other Styles listed on other pages. 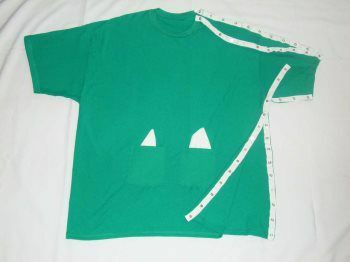 We hope you like our products and if pockets are needed, add $6 and contact us for size and placement. 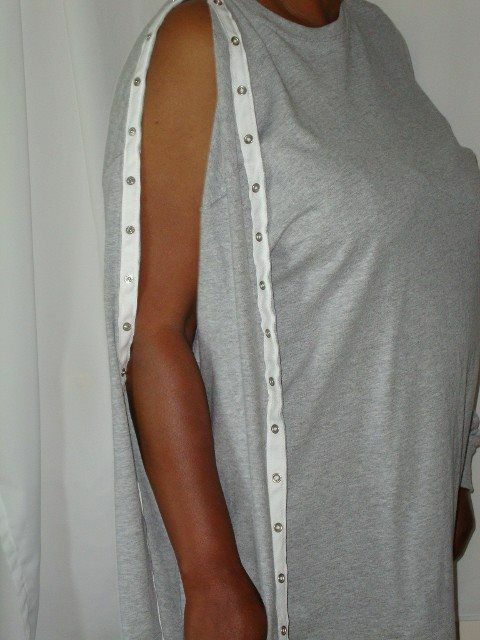 Style #3A $59.95 Was designed for the Breast surgery patient. 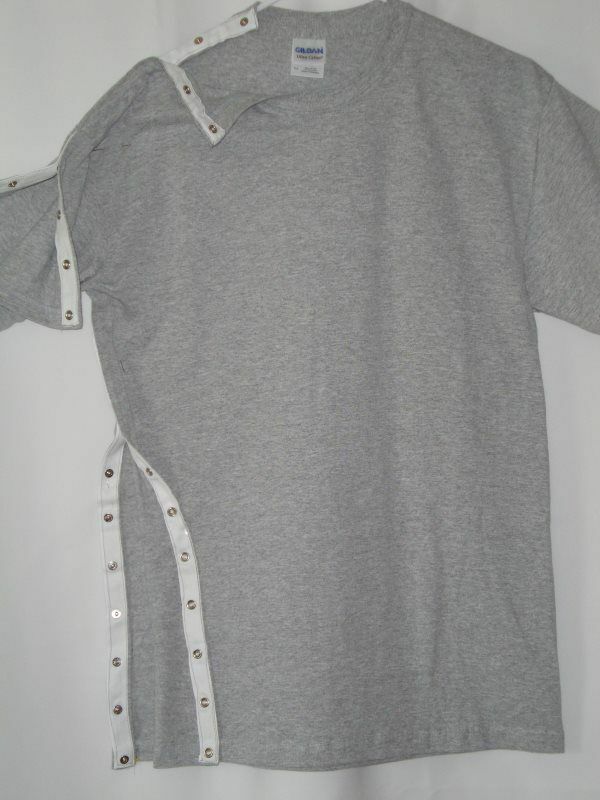 Photo shown is Style #2 T-Shirt with snaps and (2) hidden pockets that allow the drain bulbs to rest for as long as needed to prevent spills. 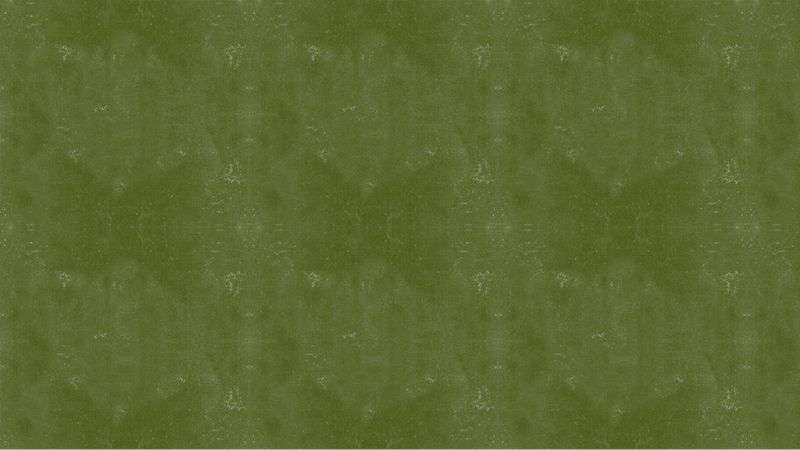 Style #4 $69.95 Bedridden patients, paraplegics, quadraplegics. Snaps are hidden on both sides when properly snapped. More medical uses, broken arms, alzheimers, parkinson, dementia, arthritic conditions and many more disabilities. We even accept patient's t-shirts if adaptible to using the snaps. 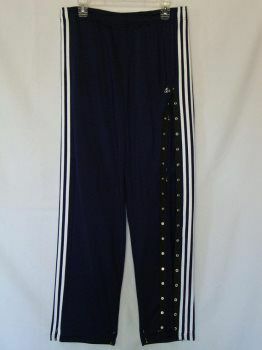 Style #5A $59.95 Pants for bedridden patients needing a caregiver to assist with going to bathroom. 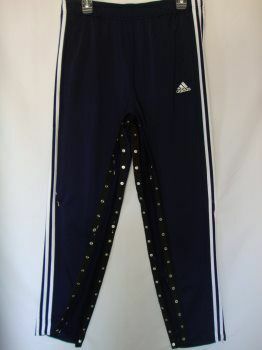 Our latest Style of pants has snaps up the inside of a leg, around the crotch, and down the other leg. Caregiver was struggling to pull patient's pants up and down and asked for our help. We designed pants just like a toddler wearing a diaper. Only unsnap where needed for a urinal or bedpan. The patient has his dignity, modesty, and privacy. 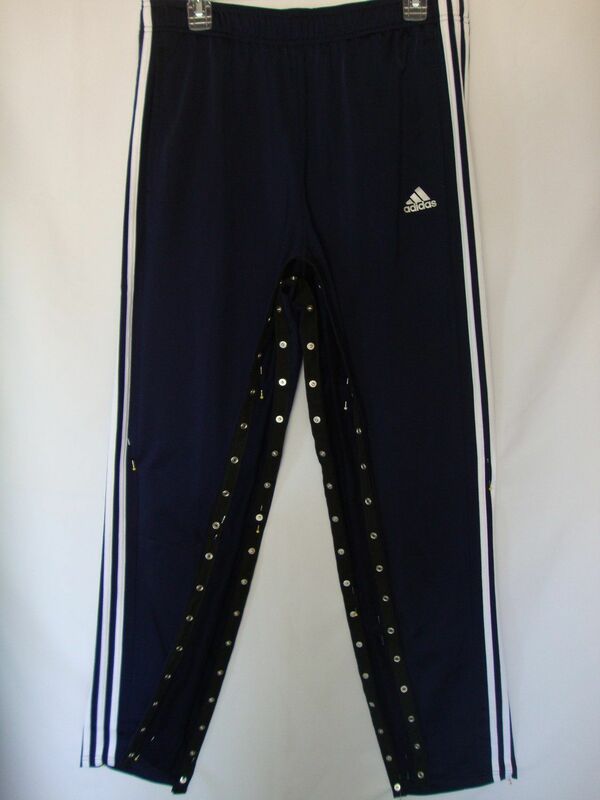 Style #5B $52.95 Pants with hidden snaps from the bottom of the pocket down outside of of either leg. 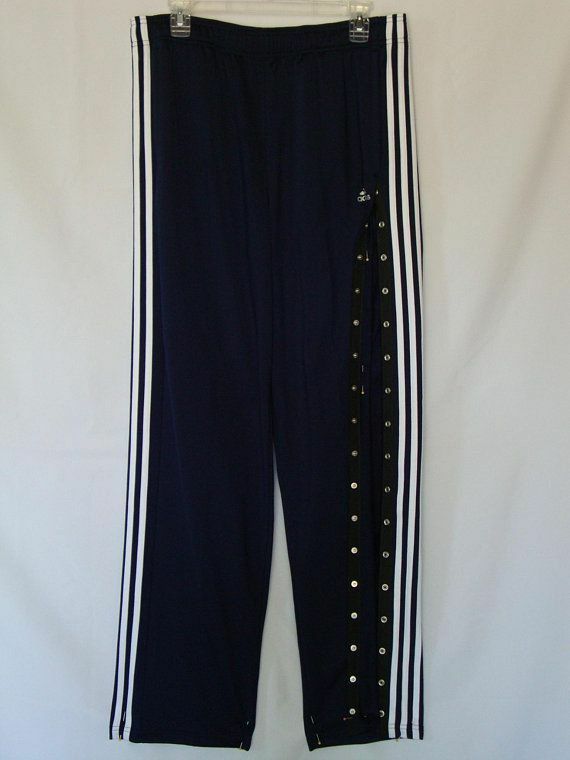 Pants with or without fleece. Knee replacement/surgery, broken leg, ankle, foot, let supports, some dialysis patients requiring thigh location for treatment. Shipping is priority mail with a two- to three-day delivery. Shipping for one shirt is $7.25; add $1 more for each additional T-shirt. Requests for refunds/exchanges must be made within 14 business days of receiving your order. To receive a refund/exchange, the product(s) purchased must be unused and undamaged. 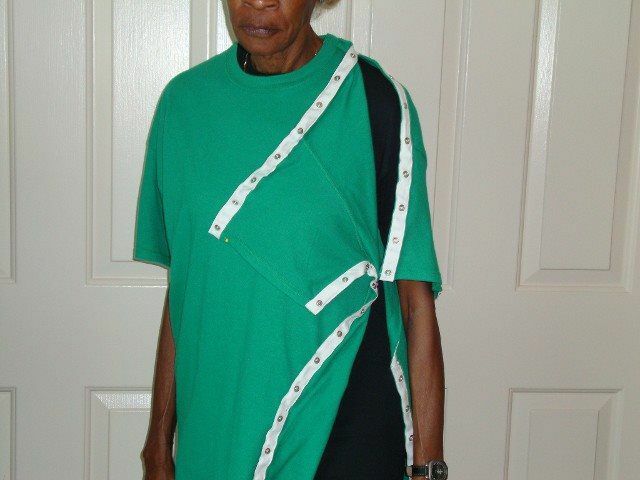 Enclose in bag and send email to rehabwear@yahoo.com or call (731) 664-8013 to make your requests. The buyer is responsible for the cost of shipping when returning the order. 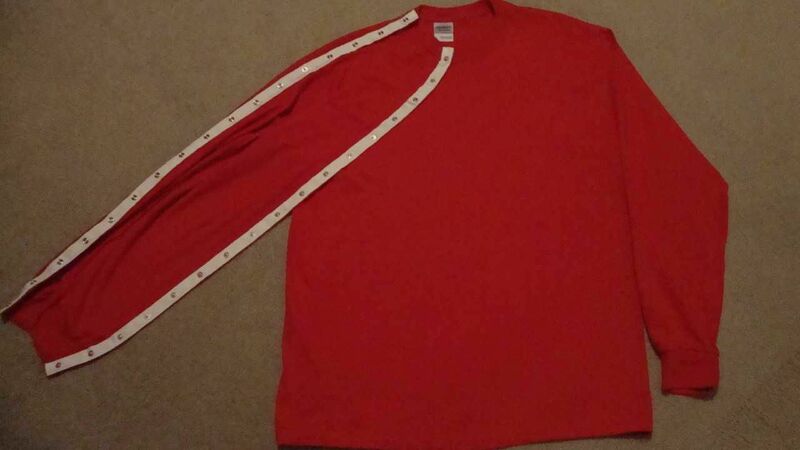 Due to our products being customized shirts we need your color, torso side for snaps (left or right).